1. 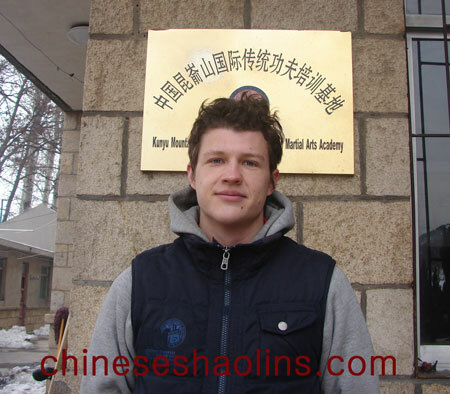 Why I chose China to study Kung Fu? 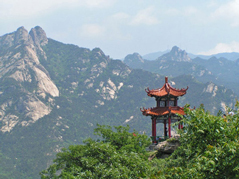 One of the reasons is that there is no better place to learn Kung Fu than in its own birthplace, China. It's authentic and you are learning “real” Kung Fu from masters that have been learning and practicing most of their life. 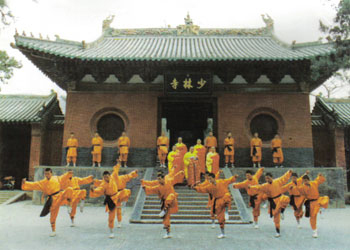 Their Kung Fu is more original than the ones taught in western countries, due to modifications and mixtures of different martial art styles. Another reason is that I also hoped to learn Chinese since I am surrounded by the Chinese language and culture for an authentic Kung Fu experience. 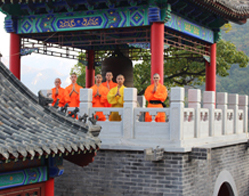 And my last reason is that I have never been to China and it sounds very exciting to learn Kung Fu in China and get to know the culture and the people, the lifestyle and the way of thinking. What motivated me to come was that I am a very open minded person and I saw and still see a big challenge in practicing Martial arts and being good at it. The idea of being able to control my mind body and spirit is motivating enough. Since mastering myself has always been a goal of mine and I still find it very hard, and I know I am still far away of where I want to be and I have a lot to learn and to improve. I didn't just come for the physical challenge; my main goal was the spiritual aspect. Learning a different way to look at life and living. Understanding more about what we humans really are and what we are capable of doing, not just physically but mentally and spiritually as well. 2. What I gained from the training? I gained a better understanding of different Kung Fu styles. I learned a lot about how to coordinate movements and trying to express my spirit through my forms and movements. I still have a lot to learn but I have made a huge progress in my coordination and my reactions and fighting. I also accept physical pain in everyday training and challenging my mental strength. I've become stronger in all aspects and Kung Fu is definitely something that has to be practiced for life you to be good at it.I personally also learned more about myself. 3. Who influenced and helped me during my stay? Well basically everyone. The older students in the beginning and then once I got one of the older students the new students would make me see where I started and how much I have progressed. And I would take advice from everyone who had constructive criticism to make myself improve more. And of course the masters. Being able to experience the teaching styles of different Masters made me learn faster and see how every master has his different priorities and a different focus. In fact everyone has their personal and different understanding of what Kung Fu is for them. My Master Gao made me progress much more than I could imagine. Having acquired tiny basics from all the other masters, joining Master Gaos training made me learn and understand so much more in a short period of time. The training with him was very motivating and inspiring, and I progressed a lot in everything with him. In fact his training gave me emotional strength. My explosiveness, velocity and technique improved enormously. I am really pleased with my decision to join his training. And I tried to push myself and try to show him my best side as often as I could. 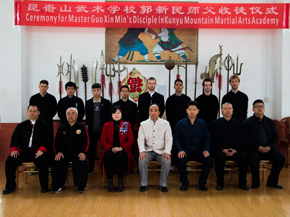 And Master Guo who has taught me so many different styles and has always had been present and willing to teach me patiently and very peacefully. Also answering my questions and teaching me inner martial arts day after day. My Roommate Loc is also the person which I admire the most among the students since the beginning of my stay. His perseverance and his mental strength have helped me and pushed me to try to catch up with him. 4. My experience was all in all something that I will never forget. An unforgettable experience has changed my view of life. I would attend all the classes as much as I could. Tai Chi in the morning, main classes after breakfast and lunch, then either Xing Yi or Qigong in the afternoon. For my first 3 months I also attended classes such as Mandarin, Acupuncture, Massage and Calligraphy. Later I attended Taoism and at the end I used most of my free time to train and practice on my Sanda, Forms, or Acrobatics. It’s a simple life but with a lot of challenges. Constant physical efforts, sore, injuries, challenge of imitating difficult movements, etc. But that’s exactly what I like about it. That it is difficult, you have to work hard to achieve good results. 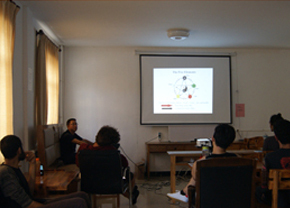 The masters are all very nice and willing to teach at a pace that is easy for the student to understand and follow. They are all very competent and know what they are teaching and make the training atmosphere very friendly and family like. 5. The surroundings are really nice. The mountains are beautiful the air is good and it’s so quiet and peaceful. 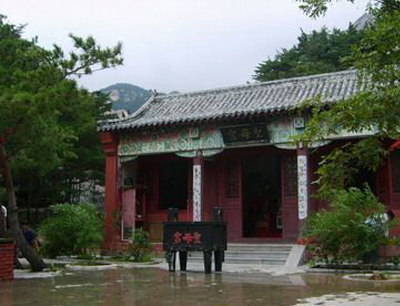 The lakes are refreshing in summer and the temple is really nice and interesting to visit. 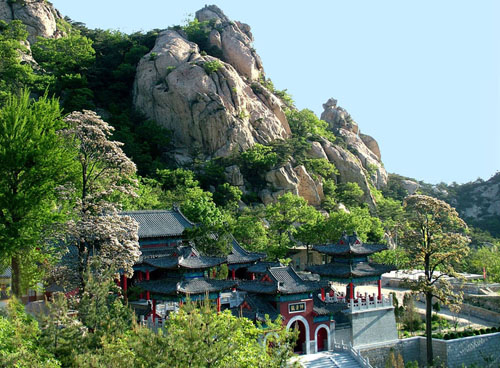 Kunyu Shan is a nice small village but other than going to the restaurants at special occasions and enjoying the nature there is not much to do. 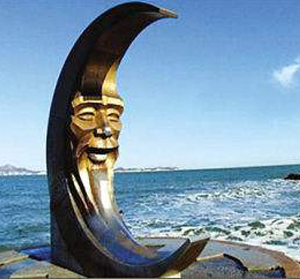 Yantai is a small calm city compared to other cities in China and can be nice to relax a bit.